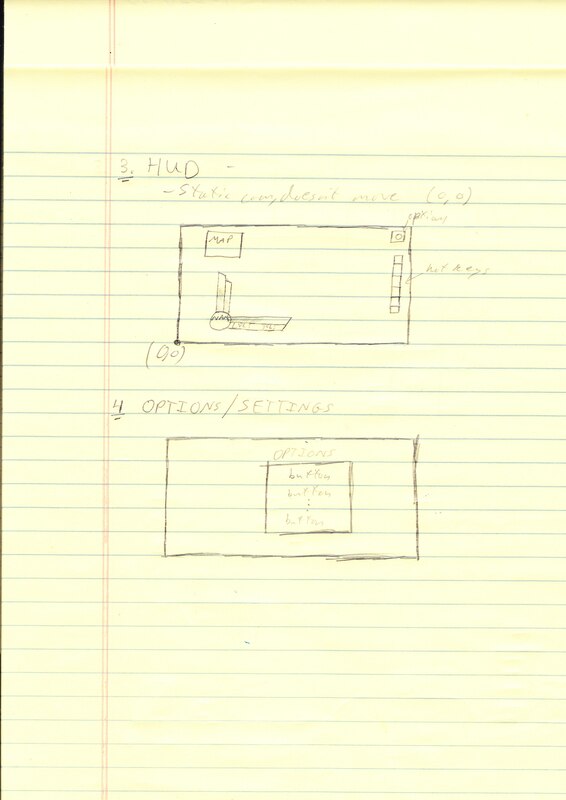 This is the outline for the camera we are going to use, there will be 3~4 layers for the "camera," basically, it will allow the background to move separately from the game screen, and allow the HUD to be independent of them both and just remain static on top of the screen. The background will be built from few layers of images that will move separately from each other giving the game a feeling of depth. 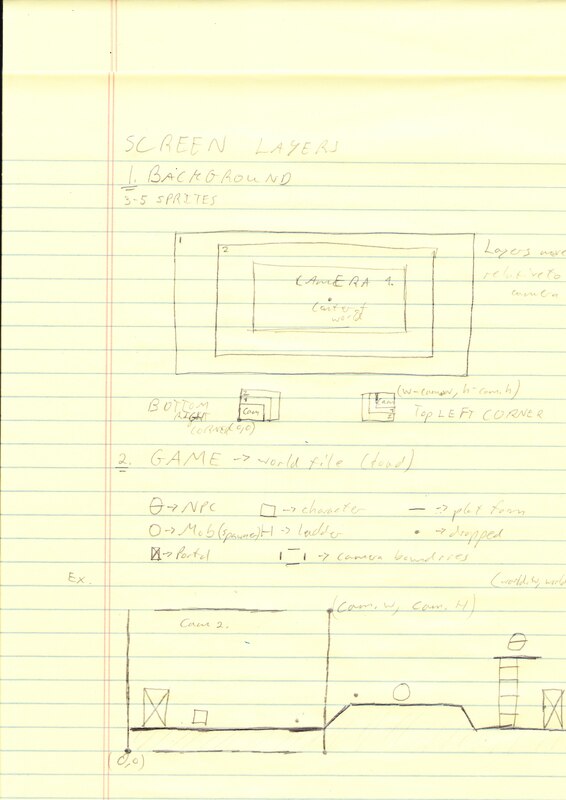 the Game Screen will have the actual "moving" camera, and will show what is included inside of the camera. everything else will be there and be shown once the character is in that field of view. for more information, and on here as we will try to update you as often as we can!